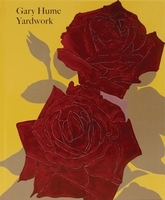 Hardcover, 8.75 x 10.25 in. / 96 pgs / illustrated throughout. Text by Dave Hickey. Interview by Caroline Douglas. 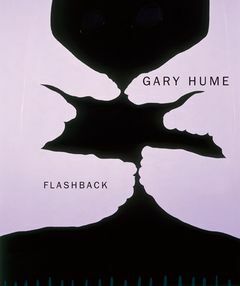 British artist Gary Hume (born 1962) first found international fame in the early 1990s, with his series of bold, abstract “door paintings.” As one of the leading “Young British Artists” (YBAs), his work was featured in Damien Hirst’s Freeze and Charles Saatchi’s Sensation exhibitions and he has exhibited internationally since, becoming best known for vibrant, large-scale paintings, executed in planes of bold, glossy color. 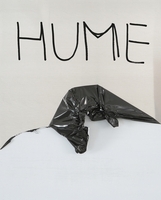 A Turner Prize nominee and Royal Academician, Hume is a key figure in twentieth-century painting and a powerful influence on younger generations of contemporary artists. This beautifully presented hardback book is published to accompany the third exhibition in the Arts Council Collection’s acclaimed Flashback series, in which early acquisitions from key international artists are juxtaposed with newer work. 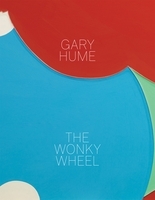 Gary Hume joins Bridget Riley and Anish Kapoor in this popular series of survey publications. FORMAT: Hbk, 8.75 x 10.25 in. / 96 pgs / illustrated throughout.